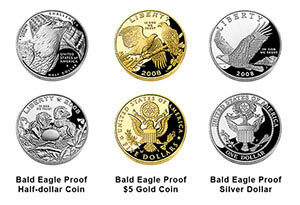 Sales from these U.S. authorized gold, silver, & clad coins are used to benefit Bald Eagles. The AEF obtained funding for this grant program in 2004, when both the U.S. Senate and House UNANIMOUSLY passed the Bald Eagle Commemorative Coin Act (signed into law by President George W. Bush). Congress authorized the U.S. Mint to mint gold, silver, and clad coins, which they sold to the public in 2008. 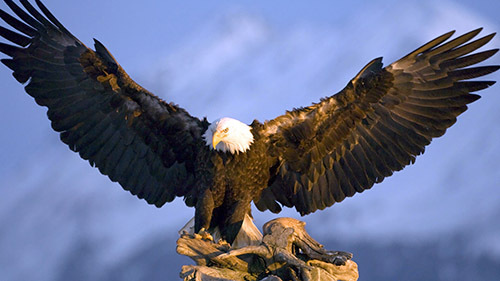 Sales of the coins by the U.S. Mint to the general public generated $7.8 million in 2008, which Congress designated that the AEF utilize for the benefit of Bald Eagles. AEF set aside 75% of these funds, or approximately $5.8 million, to perpetually grow in the American Eagle Fund to provide competitive annual grants for Bald Eagle projects. These coins can still be purchased on the AEF website. Grant applications are received from July 1 – September 1 of each year for projects during the next calendar year. The AEF Bald Eagle Grant Advisory Team, composed of a 12-person panel of eagle experts, numerically rates all grant applications received. Bob Hatcher, retired TN Endangered Wildlife Coordinator, has served as Grants Administrator. Starting in 2013, Ms. Jody Millar, a retired Natioal Bald Eagle Coordinator with the USFWS, became the AEF’s Grant Coordinator and is responsible for processing Bald Eagle grant applications.